These pretty notebooks are almost too good to use. Beautiful vintage French style covers with copper lined pages. 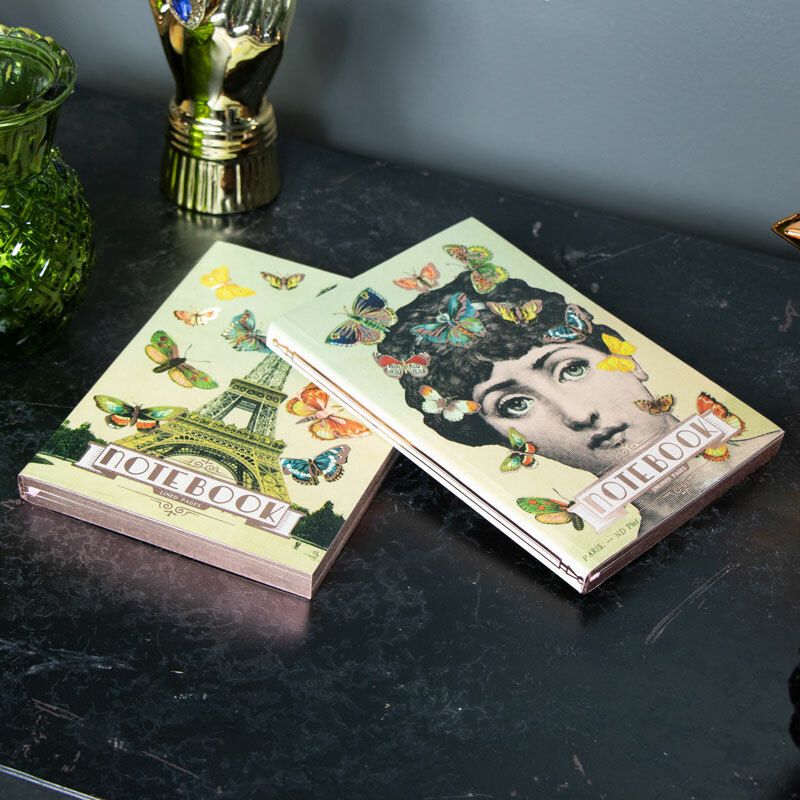 In a set of 2 with one cover decorated with an image of a vintage lady and the other with the Eiffel Tower. Perfect for fitting in handbags for making little notes, keeping by the phone or for shopping list. 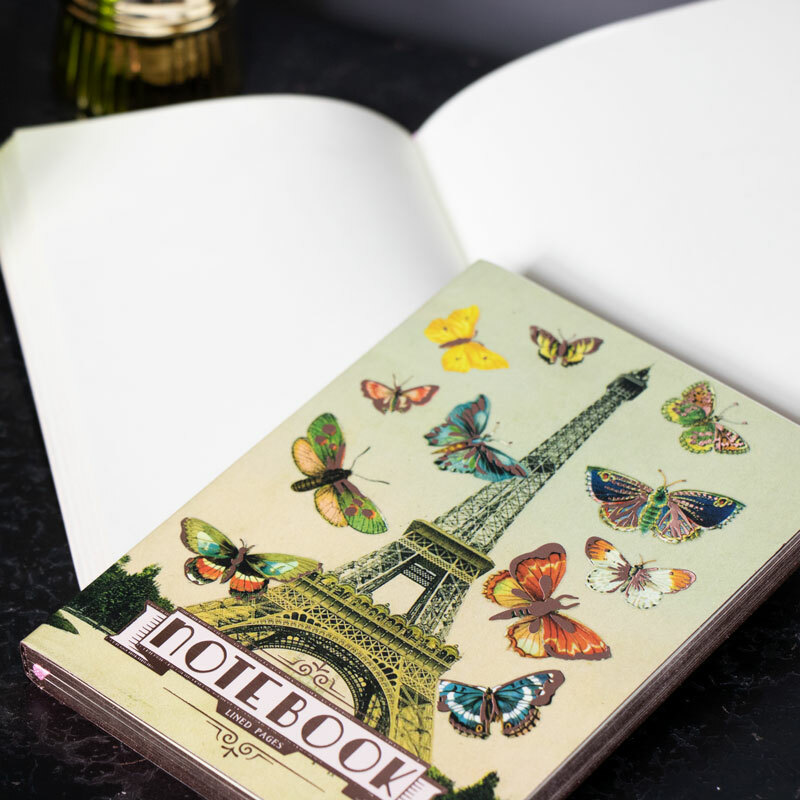 A great gift idea for anyone who likes decorative notebooks or keeping organised. These pretty notebooks are almost too good to use. Beautiful vintage French style covers with copper lined pages. 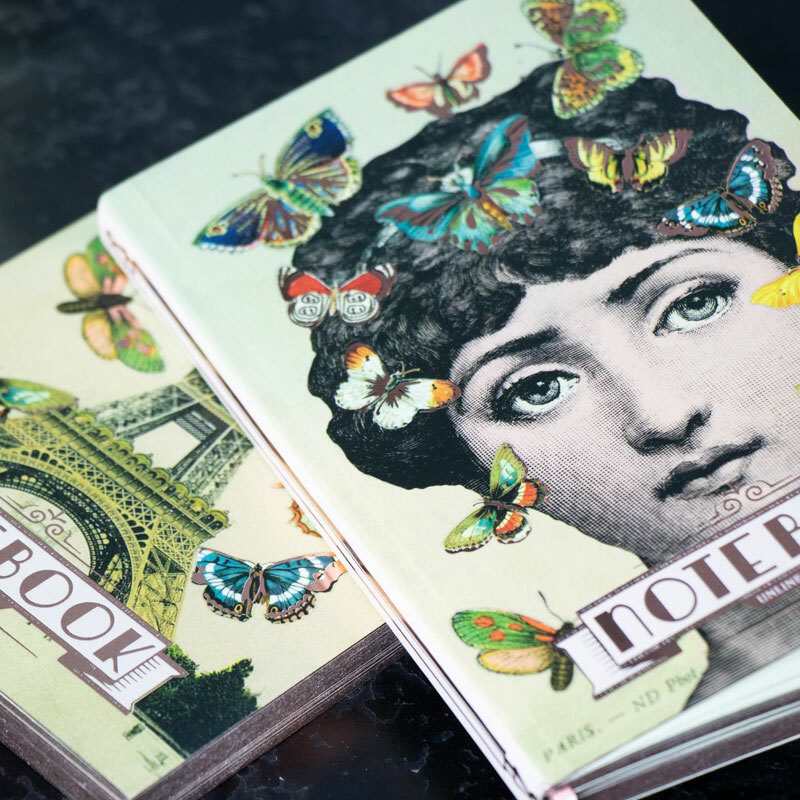 In a set of 2 with one cover decorated with an image of a vintage lady and the other with the Eiffel Tower. Perfect for fitting in handbags for making little notes, keeping by the phone or for shopping list. 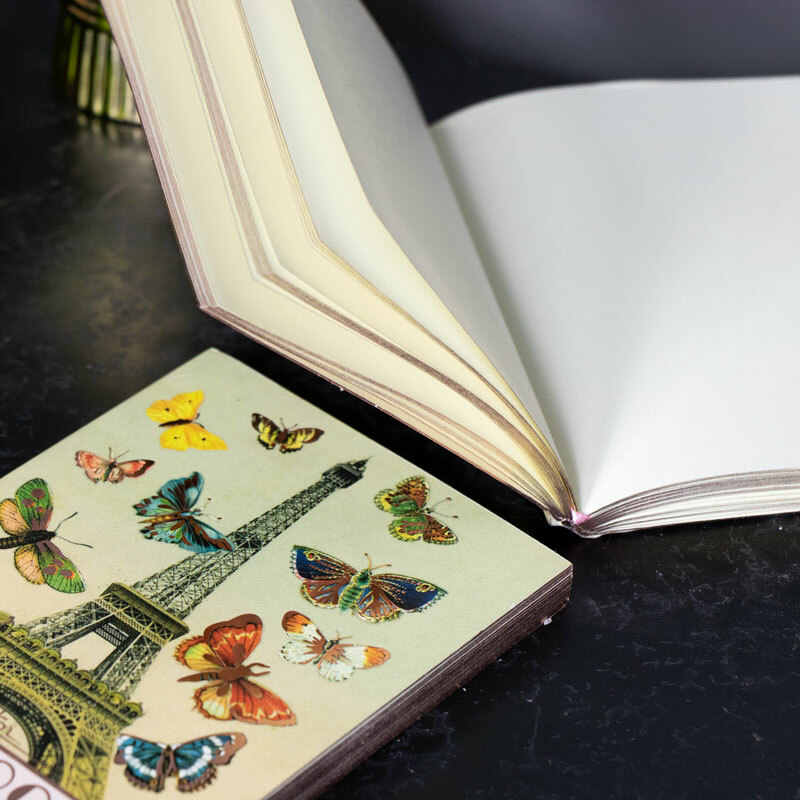 A great gift idea for anyone who likes decorative notebooks or keeping organised. Wraparound arty design on the book cover. Comes in a set of 2 tied together with a pink ribbon. Part of our growing range of gifts and home accessories.